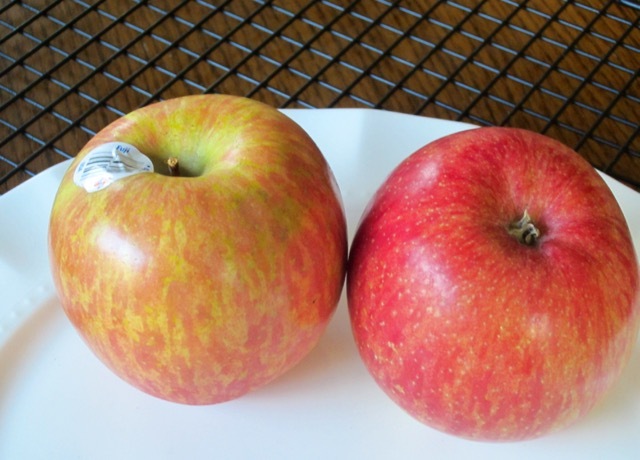 Fuji apple is a cross between a Red Delicious and Ralls Janet. It was developed at the Tohoku Research Station in Fujisaki, Aomori, Japan, in the late 1930s and marketed in 1962. 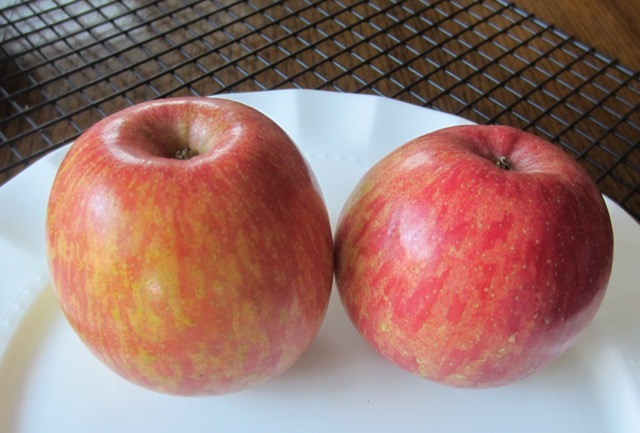 The apples are round, large to very large, with a dense flesh that is sweeter and crisper than many other apples. The texture is firm and the colour is greenish pink with a white flesh. Fuji apples are great for eating fresh. Available mid to late October to early February, the following year. Prev What is Candied Ginger Chunks in Syrup? I love Fuji apples. I enjoy one a lunch most days. 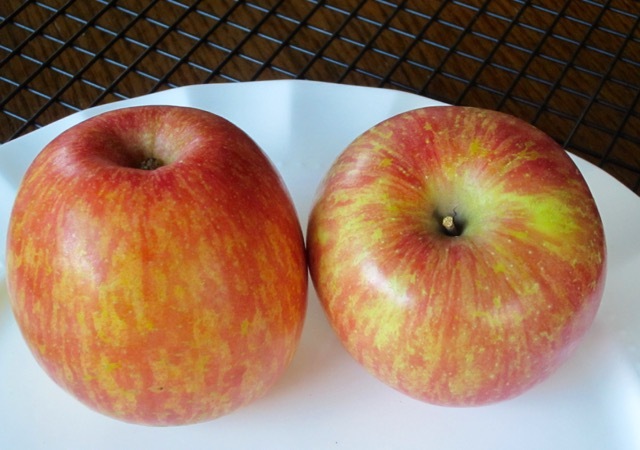 They’re often crisper than some of the other apples and I cook with them too. Win win! Crisp and delightful to the palate! I totally agree.